Click on any of the links below, for a PDF version of each side-splitting article. Check out THE AMERICAN POPE, Tim O'Toole's latest novel of papal politics and international intrigue. 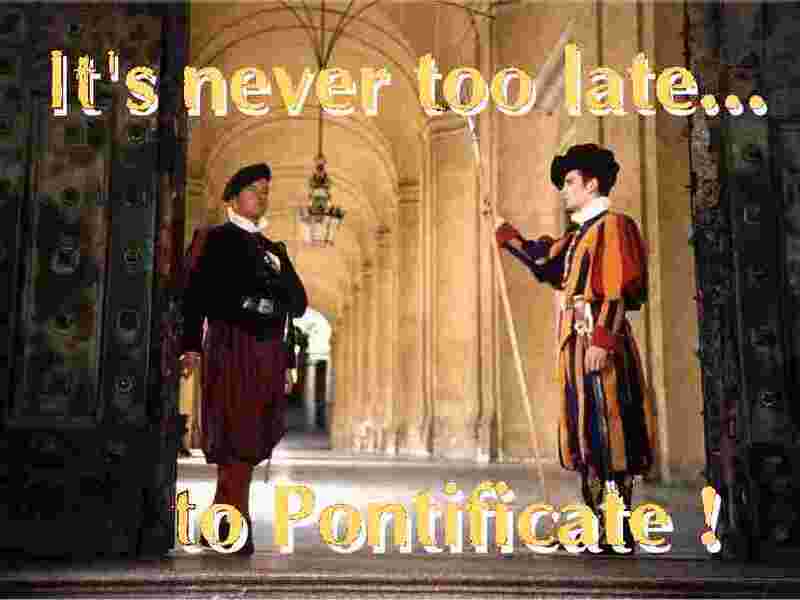 A secret society of liberal Catholics is poised to take the papacy by any means whatsovever. Can they swing the vote their way in time to safeguard the relevancy of the Vatican in the 21st Century?